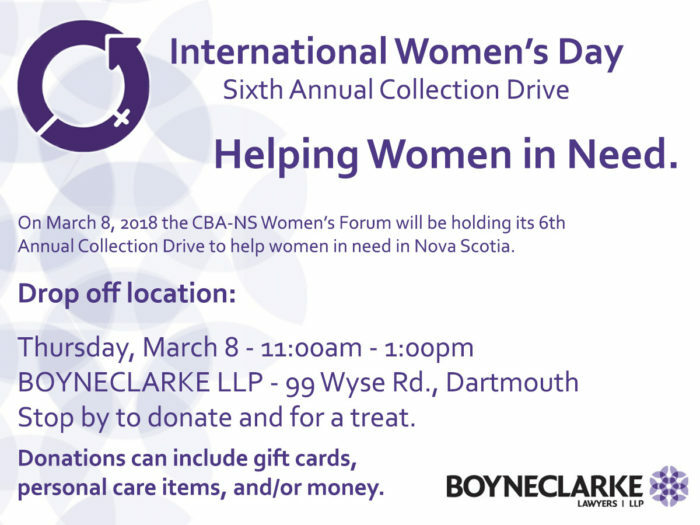 Mark your calendars because Thursday, March 8 is International Women’s Day and we are pleased to once again be host to a drop-off location for the International Women’s Day Collection Drive, raising funds for local women’s shelters. We welcome you to stop by our office and make a donation. We are happy to accept gift cards, cash or cheque donations and personal care items, just to list a few. No donation is too small! You can drop by our office between 11:00am and 1:00pm this Thursday, March 8 to make a donation. We are located at 99 Wyse Road, Suite 600. Parking is available in the lot on the side of the building.